A lot of people paddle in Alaska and know about the Eskimos / Alaska Native’s hunting from kayaks, but I learned about a kayak-form canoe while on vacation in Alaska (I’m here for 10 awesome days with 30+ relatives). The kayak part comes in because it’s low in the water. Birch bark has really interesting properties! It’s waterproof and bendable. It also looks pretty neat, in my opinion. For more on the Athabascan Birch Bark Canoe and to make a paper one with your kids click on this handout by Alaska State Museum. Or there’s some more interesting info from Native Tech like that the canoe can last up to five years with careful storage out of lighting or underwater (weighed down with rocks). On there you can also learn to make a small model out of birch bark. 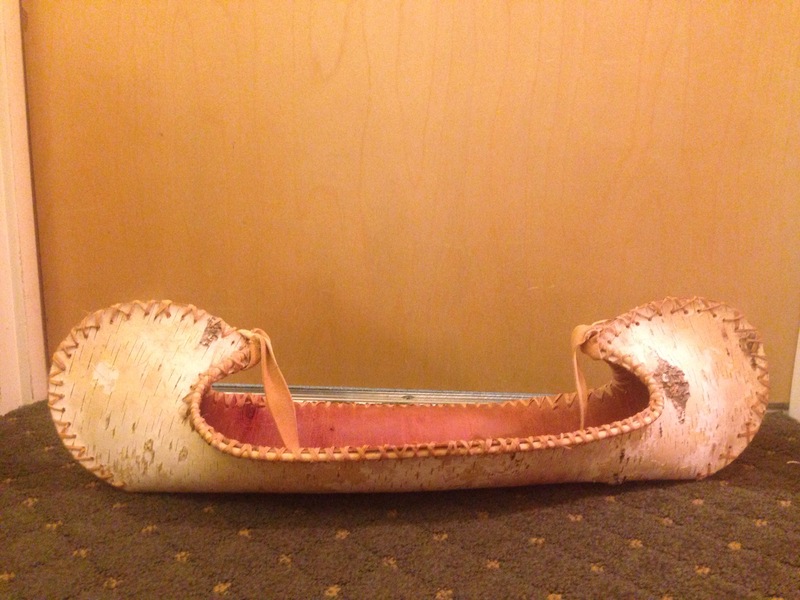 Below is the birch bark canoe basket I bought in Nenana (known for its’ Ice Classic and the Iditarod), a fun souvenir. I love this! I recently watched an episode of Bushcraft with Ray Mears (a British bush crafting expert) and he travelled to Quebec (I believe) to learn how one is made by one of the last remaining Algonquins. It was so interesting and the finished canoe was stunning! That’s awesome! I really want to see that now! I found this slideshow http://youtu.be/csTtpmJ8klA from the episode I assume and you’re right, absolutely stunning. I’ll have to look again for the full video, thanks!